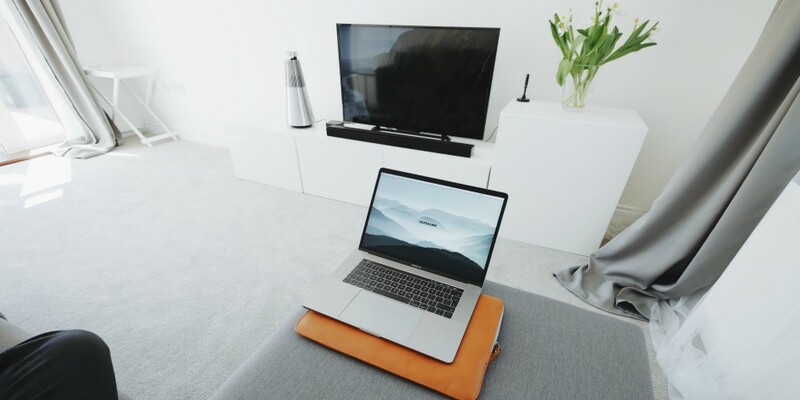 As most digital marketers know, viewers are no longer giving the TV their undivided attention. In 2019, people are spending more time multitasking on a second (usually mobile) device while they watch TV. The term “second screen social” refers to the habit of people using social media on a mobile device while consuming other types of media—typically television or movies—simultaneously. A study by Facebook shows that 94 percent of viewers have a smartphone in hand while watching TV. But while brands may have once shuddered at the idea of a consumer’s wandering eye across multiple screens, for many, it’s proving to be an advantage. Second screeners are 30 percent more likely to discover brands via recommendations and comments on social networks and 50 percent of viewers use social media for product research. Far from being passive observers, second screeners are actively engaging with the content they see on TV through searches, conversations, and research on social. Savvy brands have developed strategies for how to engage this audience in new ways—and we’ll explore some of the best examples in this post. In 2018, the Super Bowl had over 100 million viewers and 170 million social media interactions. For big brands this event is a prime opportunity to engage second screeners in North America. Tide took the top spot at the Super Bowl by running a creative campaign that was cleverly integrated across TV and social media. They combined witty TV ad spots—”Every Ad is a Tide Ad”—with a social media war room that was ready on the day with pre-planned posts and GIFs. The team jumped in for lots of in-the-moment banter with their audience. The hashtag #TideAd was trending on Twitter for the entirety of the game. Lesson: Joining a real-time conversation can be a great way to engage second screeners, so be prepared ahead of time with content that will engage people for the whole event. It’s no accident that Netflix is a top streaming service provider. They have embraced the changing digital behaviors of their viewers. Netflix understands that viewers are using social to discuss characters, exchange theories about plots or events, or fan-out over their favorite series. They’ve created a GIF library of their most popular shows so that viewers can share reactions on social. Netflix also engages their followers as fellow fans, posting inside jokes when they know people will be watching their shows. For example, on the week of Canadian show Schitt’s Creek season premiere, Netflix Canada posted a throwback video of the much-loved character Moira Rose. It spurred on a fun-loving conversation among viewers. Lesson: Netflix is masterful at using data to build relationships on social. Research your customers to better engage second screeners in your target demographic. For outdoor apparel brand Burton, having halfpipe gold medalist Chloe Kim sport their snowboard at the winter Olympics was pretty much a dream come true. But Kim took this shining moment one step further, engaging second screeners around the world. She started live tweeting to her fans about ice cream in the middle of the competition and the internet blew up. This spontaneous conversation between Kim and her followers felt natural and unplanned—it would be very difficult for a brand to do this from its own channels. Whether by design or happy accident, Burton’s iconic branding is now associated with Kim’s viral moment on Twitter. Kim’s engagement with her audience shows a major shift in how athletes—and by extension their sponsors—can delight their fans on social. Lesson: Sponsors and influencers can act as an extension of your brand by engaging with your audience during live events. Give them as much creative freedom as you can in order to benefit from their star power. ABC has two of the top ranked social TV programs in the U.S.—The Bachelor and American Idol—so they understand the importance of second screeners to the popularity of their shows. The concept of second screening is already built into shows like American Idol because they ask viewers to participate in the program by voting for artists via call or text. As American Idol has evolved (and digital behaviors have changed), ABC has done an excellent job at extending its interaction with the audience to include conversations between artists, judges, and the audience on Twitter. Most of the contestants and judges are active on social, which acts as an extension of the ABC network. Whether viewers are outraged over a finale or sharing their favorite moments from the season, it’s clear that social viewers are invested in the show. Lesson: If you’re running a campaign on TV and social, increase engagement by creating a live voting element so that viewers are tuned in to your social posts. Social media engagement is an important part of (and potentially even a predictor for) movie popularity and ticket sales. Every year the Academy Awards garners millions of second screeners, who are discussing outfits, potential wins, and casting their unofficial votes. The Academy Awards capitalizes on this engagement by jumping in with GIFs and jokes. Celebrity attendees often post live from the event as well. They’ve also built a community on Twitter where movie buffs can chat all year round. They don’t just post on the night of the event, but keep an always-on presence for their audience until next awards season rolls around. Lesson: Engaging with second screeners is more than in-the-moment outreach. It’s about creating a community that people can return to whether they’re watching TV or not. The NBA has tapped into the power of second screeners by allowing fans to vote for their favorite player to join the all-star game. Viewers can vote via Facebook or Twitter, and their ballots count for 50 percent of the final decision. NBA uses the hashtag #nbavote to promote the campaign to fans. This campaign not only increases online engagement for the NBA, but it also allows fans to feel more invested and engaged in the experience. It’s a smart strategy to bring superfans together on social around an annual, much-anticipated event. Lesson: Run contests or polls that allow second screeners to feel like they’re part of your event even if they aren’t attending in person. Use an easy-to-remember hashtag so people can follow the outcome. As digital consumption continues to rise, second screening will become the new reality for TV audiences. Brands that understand and embrace this change will win the hearts (and likes) of their followers. Engage your followers on social media whether they’re watching TV or not. From a single dashboard you can schedule posts, share video, engage your audience, and measure the impact of your efforts. Try it free today.